Key difference: A rat is a medium-sized to large rodents, with a pointed muzzle, long slender and hairless tail, and dexterous forepaws. A mouse is a small mammal, about the size of a sparrow. It generally has having a pointed snout, small rounded ears, and a long naked or almost hairless tail. Rat and mouse are often confused as being the same because of the similarities between their appearances. Many people end up confusing rats and mice as they resemble each other in nature. 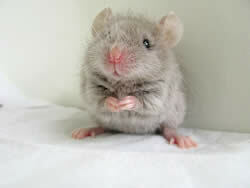 While, there is a huge misconception that mice are white, while rats the black or browns ones. This is wrong. Rats and mice belong in different genus and are actually different from each other. A rat is a medium-sized to large rodents, generally described as pigeon-sized. They are usually distinguished from mice by their size, but are also known to have a pointed muzzle, long slender and hairless tail, and dexterous forepaws. Like mice, these rodents are also found throughout the world, in varying environments and are nocturnal. Rats are considered as deadly pests, especially because they often carry deadly diseases. They have been known to have a big part in spreading the Bubonic plague throughout Europe. They are also known to damage and eat crops, and cause structural damage. In some parts of India, every fifty years, armies of bamboo rats descend upon rural areas and devour everything in their path. Also, it is believed that there are up to 4 times more rats in New York City than there are people. There are many species of rats, including, Philippine forest rat, Polynesian rat, Himalayan field rat, Sunburned rat, Rice-field rat, Summit rat, Nonsense rat, Palm rat, little soft-furred rat, Malayan field rat, Spiny rat, Australian swamp rat, long-haired rat, etc. 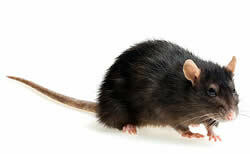 However, of these the most commonly found and popularly known is the Brown rat or Norway rat and the black rat. A mouse is a small mammal, about the size of a sparrow. It generally has a pointed snout, small rounded ears, and a long naked or almost hairless tail. The best known mouse species is the common house mouse, which is known to invade homes for food and occasionally shelter. Mice are quite popular as a pet. They are quite successful at survive by adapting to various different conditions. Mice are found throughout the world in a variety of climates and environments. They are usually nocturnal, timid, social and territorial in nature. At times, mice can be vermin, damaging and eating crops, causing structural damage and spreading diseases through their parasites and feces. There are many species of mice, including common house mouse, the American white-footed mouse, deer mouse, Sumatran shrewlike mouse, Mayor's mouse, Gairdner's shrewmouse, volcano mouse, little Indian field mouse, servant mouse, Macedonian mouse, toad mouse, desert pygmy mouse, etc. White, gray, brown or black. Shades of white, brown and grey. Triangular and small relative to body. Ears are small relative to the head. Ears are large relative to the head. Rats have a keen sense of smell and are easy to train. Used by a Norwegian NGO to detect landmines and diagnose tuberculosis through smell. Highly developed, used as a new form of airport security detector, more accurate than using dogs or x-ray machines. Primarily nocturnal, high intelligence, keen sense of smell, ingenuity, aggressiveness, and adaptability. Primarily nocturnal, curiosity, poor eyesight, keen sense of hearing, and rely especially on their sense of smell to locate food and avoid predators. Omnivores, known to attack rats of other species, mice, and even eat their young in some cases. Largely herbivores, consuming any kind of fruit or grain from plants. Can be found indoors, outdoors and in sewers. Active burrowers, leaving approx 10cm (4 inch) holes. Tunneling can be very extensive. Not agile climbers. Lives indoors and out, but almost unknown in the sewers. Sometimes burrows. Climbs well. Snakes. In some cultures, rats are or have been limited as an acceptable form of food to a particular social or economic class. Rat meat is taboo in some cultures. Cats, foxes, wild dogs, snakes, lizards, frogs, tarantulas and various birds of prey. Humans have eaten mice since prehistoric times and still eat them as a delicacy throughout eastern Zambia and northern Malawi, where they are a seasonal source of protein. Evil, vicious, malicious, unclean, parasitic animals. Known to spread diseases. The first of the twelve animals of the Chinese zodiac. Seen as the vehicle of Ganesha, in Indian mythology. Negative portrayal in stories like The Rats or H.P. Lovecraft's The Rats in the Walls, and in films like Willard and Ben. Changing view, e.g. Dr. Dolittle and Ratatouille. Cute, small, loving, adorable. Mickey mouse.